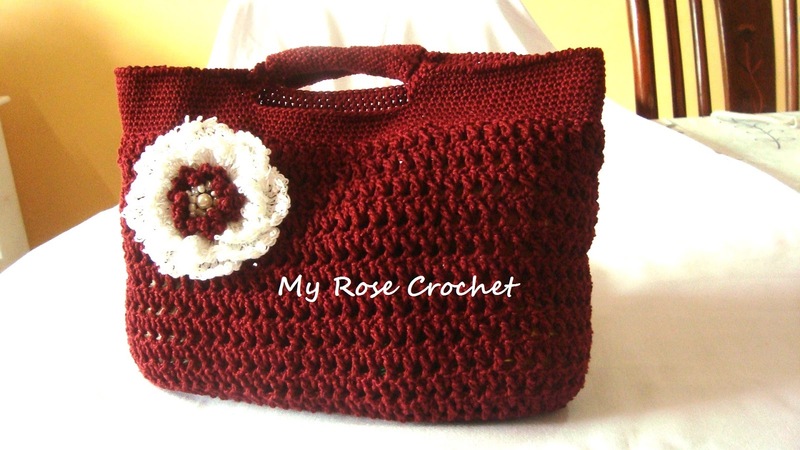 I wanted to make a handbag which should be sturdy enough to carry lot of things and also stylish. 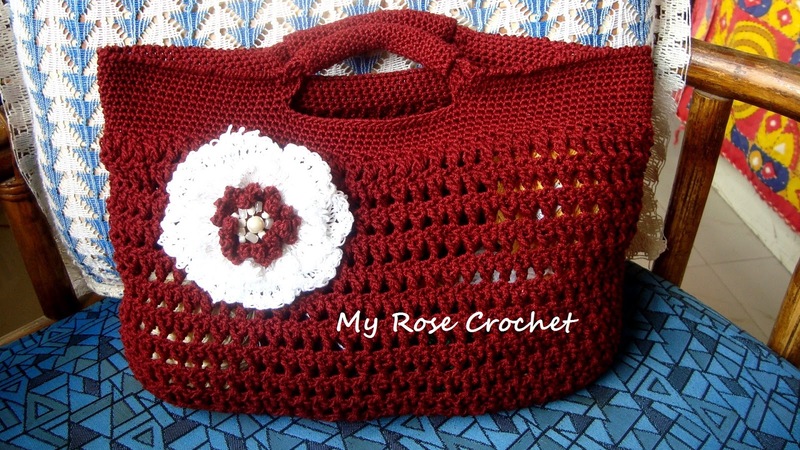 Here is my new pattern for Big Flower Handbag. I used 3ply cotton yarn for a neat look. 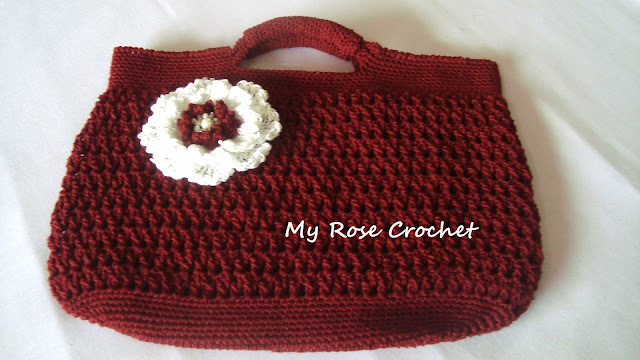 Stitch pattern I used for the body of the bag gives a very sturdy texture to the bag. 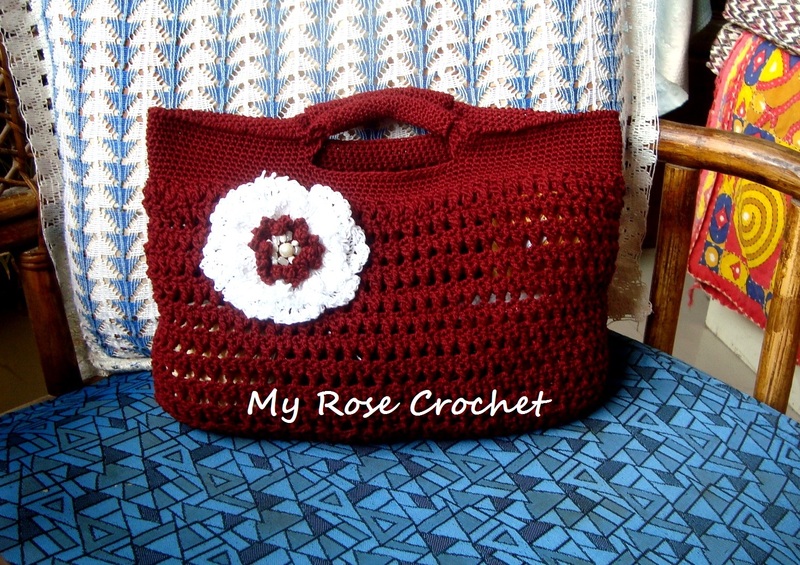 Stitches like Single crochet,Double Crochet,Front post double crochet,Triple crochet are used. The big beaded bouncy flower make the bag stylish to carry. 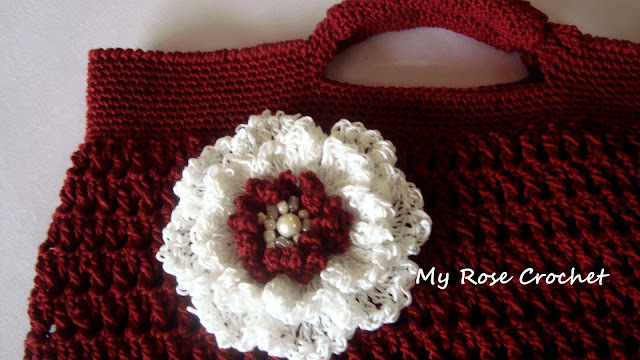 Pattern includes written instructions and lots of photos .